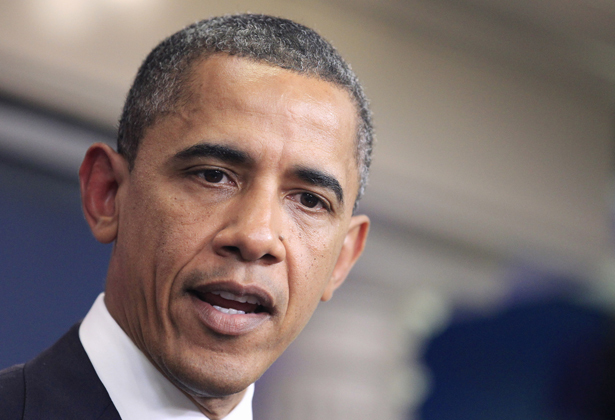 In Covering Obama’s ISIS Speech, Can the Media Move Beyond ‘Optics’? Does it matter what necktie you wear when you declare war? As the whole world watches President Obama’s address on combating ISIS tonight, you can depend on the US media to obsess over the “optics.” Is he coming across tough enough, Putin-y enough? Will his demeanor please the Republicans and frighten the terrorists (or vice versa)? And what does his suit have to say about all of this? From Obama”s refusal to cut short his vacation after the Malaysian plane was shot down over Ukraine, to golfing after commenting on the beheading of journalist James Foley, to his wearing a beige suit (which the press mistakenly called “tan,” a bad habit of white folks, as people of color know), the media has lately been speeding up its favorite game—spitting out millions of words about image (the old word for “optics”) instead of substance. I’m torn: I write about the nuances of imagery all the time. It holds tremendous power, public figures must know how to advertise themselves, the medium is the message and all that. But today we have so many layers of media interpreting imagery, from cable pundits to billions of tweets, that it’s getting harder for people to see for themselves. The Washington Post’s Ruth Marcus recently agreed that the country’s current immigration failures were the “fault of House Republicans.” She then proceeded to pen an entire column attacking Obama’s “erratic” style because he “looks weak” and he “looks political” in his decision-making. You can read more on the Media Matters blog.